Each caplet serving contains 1,000mg L-Arginine. Best taken on an empty stomach. Vegetarian. Directions: For adults, take one (1) caplet three times daily, preferably on an empty stomach. Other Ingredients: Vegetable Cellulose. Contains <2% of: Glycerin, Silica, Vegetable Magnesium Stearate, Vegetable Stearic Acid. L-Arginine 1000 mg is rated 4.4 out of 5 by 13. Rated 2 out of 5 by Sparky from It may work fine, however, the tablets are not well coated and very large! Way too large to swallow. These became stuck in my throat several times, so I'm not attempting it again. Normally this is not an issue for me. Rated 5 out of 5 by wewell54 from Vitamin World L-arginine is a wonderful supplement. 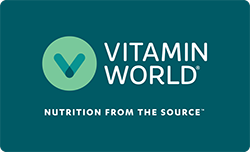 I tried 800 mg twice a day from another company, L-arginine from Vitamin World is the best. Rated 4 out of 5 by Ken from Works well just a bit hard to swallow Overall I prefer this dosage as it is all in one pill. My only issue is the size of the pill. It is rather large making it hard to swallow sometimes. It would be better if it was a capsule or had more of a coating to make it slicker when swallowing it. Rated 5 out of 5 by Mickey from Great pricing, excellent product, can't beat this deal For the cost and the amount per tablet, the near incredible price point, this is almost a steal, I normally pay more than twice this price at a bricks and mortar store. Plus, all this with out the hassle and time of going out to a store and getting someone selling you stuff you don,t want or need. Rated 5 out of 5 by Anonymous from Excellent supplement Helps with maintaining muscle mass and energy levels.